Makes 10 servings, 1/2 cup each. Savory bacon, a cheesy sauce and crushed Ritz Crackers. 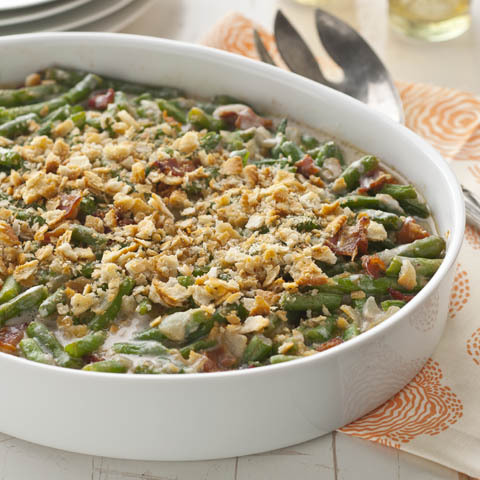 Ordinary green bean casseroles, watch out. Add beans to large saucepan of boiling water; cook on medium heat 4 to 6 min. or until crisp-tender. Rinse with cold water; drain. Cook bacon in same saucepan on medium heat until crisp. Remove bacon from skillet with slotted spoon; drain on paper towels. Discard all but 2 Tbsp. drippings from skillet. Add onions to reserved drippings; cook and stir 4 min. or until tender. Stir in flour. Gradually stir in milk until well blended; cook and stir 3 min. or until thickened. Add cheese; cook and stir 3 min. or until melted. Stir in beans and bacon; spoon into 1-1/2-qt. casserole sprayed with cooking spray. Top with cracker crumbs. Make AheadChinet Bakeware® baking pans make planning easy. 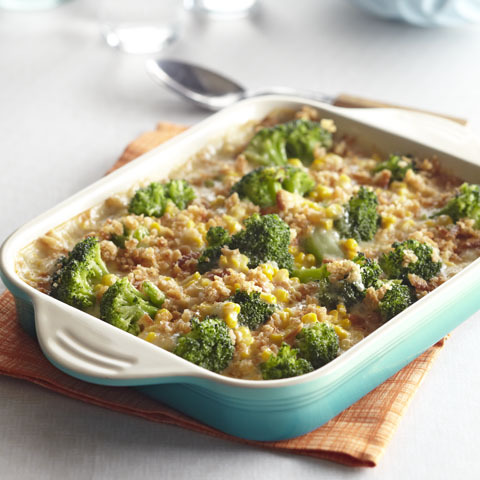 Simply assemble this delicious casserole in a small oval Chinet Bakeware® pan. Then, snap on the lid and store it in the refrigerator up to 12 hours. 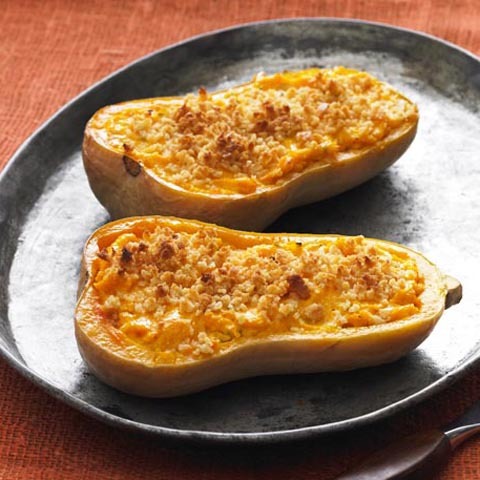 When ready to serve, remove the lid and bake it in a 350°F oven 45 minutes or until heated through. Chinet Bakeware® pans heat evenly so your favorite dish bakes perfectly every time.